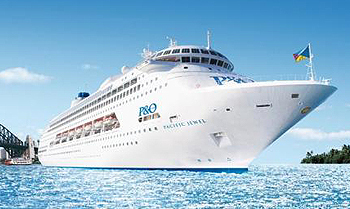 Pacific Jewel will sadly be leaving the P&O Cruises Australia fleet in early 2019, with departures from Melbourne until 24 February 2019. There’s still time to explore Australia’s northern or southern coastline, immerse yourself in the paradise of the South Pacific Islands or take a Sea Break of two to four nights but don’t delay! The last remaining cabins are selling fast. View all Pacific Jewel cruises, view a selection of P&O Australia cruise deals, or view more options for P&O Cruises Australia. Discover 11 levels of hidden gems on Pacific Jewel. Dance the night away in The Dome, relax in the Aqua Spa, feast at one of the six restaurants and get a dose of adrenaline at the P&O Edge Adventure Park. Where the cocktails are top shelf and the scene is chic. Choose from our innovative cocktails menu of classics and new creations expertly mixed with fresh ingredients. Connexions Bar is a late night venue featuring live music and entertainment like quizzes and pub trivia. A great place to start, spend or end your night. A relaxed bar perfect for everyone. Gather together, grab a cocktail and sip the day away by the pool. A pub-style venue serving bottled ciders, craft beers and draught beer on tap. At The Orient, the atmosphere is warm and the beer is frosty. A happy, child-free paradise with a relaxed vibe and deckchairs galore. Relax with a cocktail in hand and watch the sun set over the ship’s wake. Drive a car, on a ship. Choose from our fast, faster and fastest race car simulators. P&O Edge Adventure Park is Australias largest adventure park at sea. Perfect for those after a serious dose of adrenaline! Operating both day and night, have your turn to fly through the air and enjoy a bird’s eye view of all the action on top deck! Try your hand at our huge selection of deck games including golf putting, table tennis, quoits and more. Our ever popular Asian restaurant, Luna, offers spectacular banquet style menus rotating between a variety of Asian cuisines. With over 40 à la carte menu items for breakfast, lunch and dinner, this modern Australian restaurant serves up a sophisticated selection. Exclusive to P&O, Salt grill the first Australian celebrity chef restaurant at sea. Youll love this unforgettable dining experience. For a caffeine fix or sweet treat anytime of the day, head straight to The Café. Eat alfresco on the top deck at The Grill where the vibe is casual and the meals are mouth-watering. From an early breakfast to a late night drink, Chariles Bar is the go-to place for catch ups. *Terms and conditions apply. Prices shown are per person, twin share in AUD inclusive of all discounts, taxes & fees. Prices are on categories as specified. Prices are subject to change and availability. Offers are valid for new bookings only and are not combinable with any other offer. Minimum price featured does not necessarily reflect the pricing of the offer specified, but rather indicates the cheapest available rate per person, twin share of any promotion offered on each sailing. For accurate pricing for a particular promotion, please select appropriate rate code on desired sailing and continue through to the final pricing screen. The savings percentage amounts are a comparison between the current lowest available fare and the current highest available fare on the same category, regardless of promotion. The savings percentage displayed reflects the highest available discount on any category on that sailing. Each fare level has its own terms and conditions. All offers are subject to availability and may be withdrawn at any time without notice. Cruise Guru reserves the right to correct any errors inaccuracies or omissions and to change offers, fares and surcharges at any time without notice. Credit card fees are not charged for deposit payments via Visa or MasterCard. Final payments will incur a 1.3% merchant fee via Visa or Mastercard. American Express incurs a 2% merchant fee for both deposits and final payments.